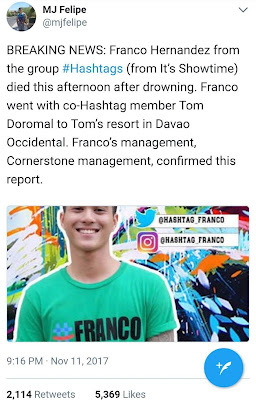 Home FRANCO HERNANDEZ DEATH HASHTAGS IT'S SHOWTIME TELEVISION Franco Hernandez of Hashtags dies, had premonition of his death: "It's about time"
Franco Hernandez of Hashtags dies, had premonition of his death: "It's about time"
Franco Hernandez of Hashtags has died in drowning incident at a resort in Davao Occidental today, November 11, 2017, as confirmed by ABS-CBN and his management agency. He reportedly fell from a motorized banca and drowned. It's November 11, and it's supposedly a happy day for the It's Showtime resident all-male group Hashtags celebrating their 2nd Anniversary, but it ended up as a day of mourning for the death of one of its members, Franco Miguel Hernandez Lumanlan. Franco was one of the 2nd batch members introduced just last February, and he was even seen celebrating with Hashtags during Showtime's taped episode yesterday, November 10, where the group was given an advance 2nd Anniversary celebration. 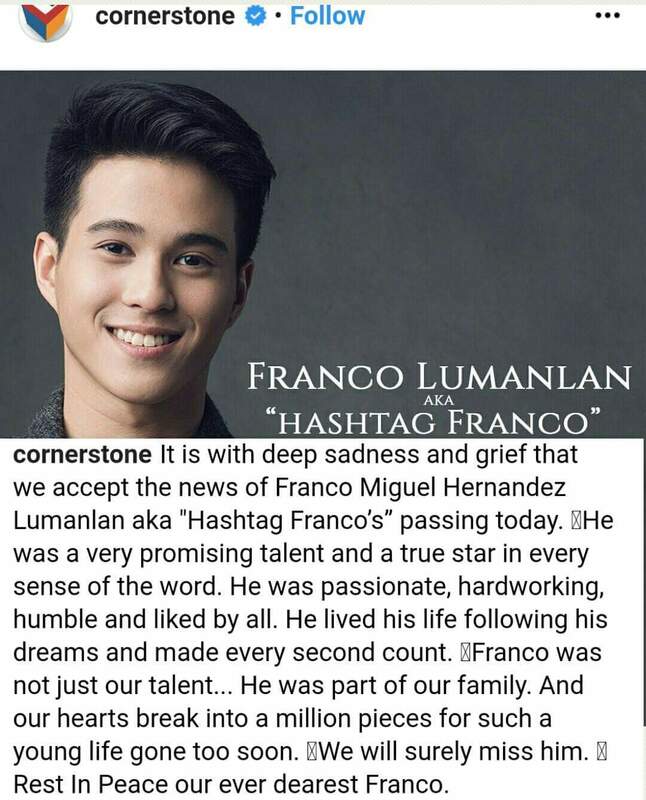 Cornerstone Entertainment Inc, the talent management who handled Franco, has issued an official statement just this evening confirming the sad news. 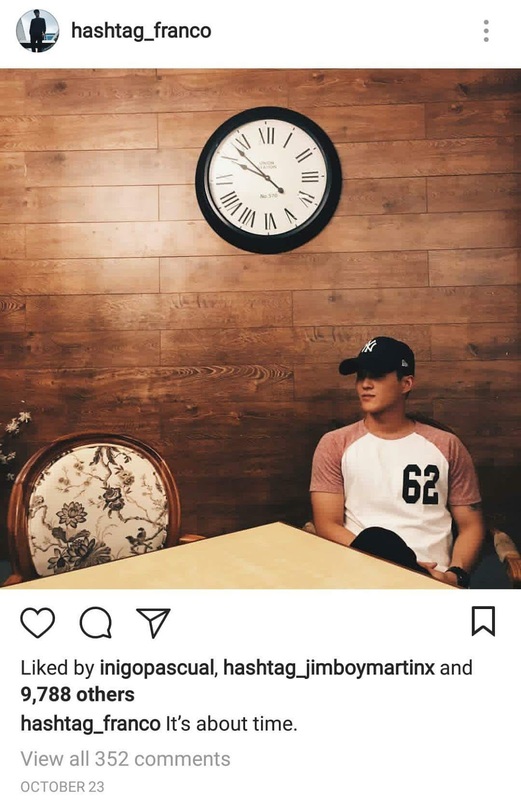 Franco died days after he posted this photo of him with a huge wall clock above him, and captioned it as: "It's about time." Did Franco have a premonition of his death? 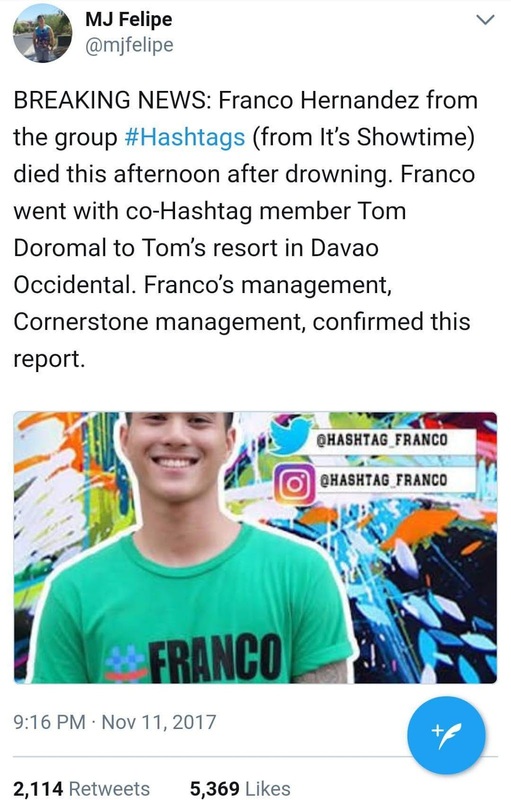 Hashtags members and other celebrities have expressed their grief over Franco's sudden death in their social media accounts. And it's hard not to cry after reading their posts. Franco lived a good life. He was certainly an amazing person. 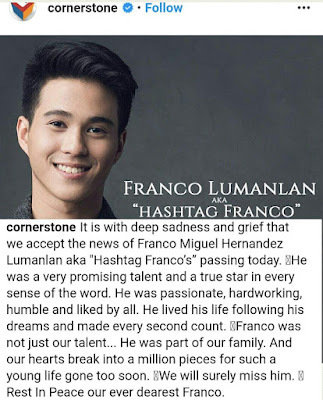 @Hashtag_Franco love you bro :'( sobrang totoong kaibigan ka. Tinulungan mo ko nung babang baba ako. Salamat. Di mo talaga alam kung kelan. Di mo masabi yung buhay. 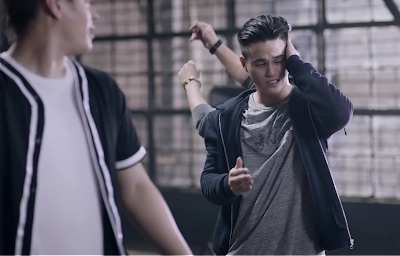 Ang aga naman masyado kapatid, @Hashtag_Franco. May your soul Rest in Peace. Godbless sayo at sa pamilya mo. RIP Franco Lumanlan may you be free to smile bigger, fly higher, and love endlessly. You were an amazing soul in life and i believe you will continue to be even greater. May you see all those who love you with clarity and understanding and may we all b patient until we can hangout again someday. Much love to everyone. My deepest condolences to Francos family, friends and supporters. 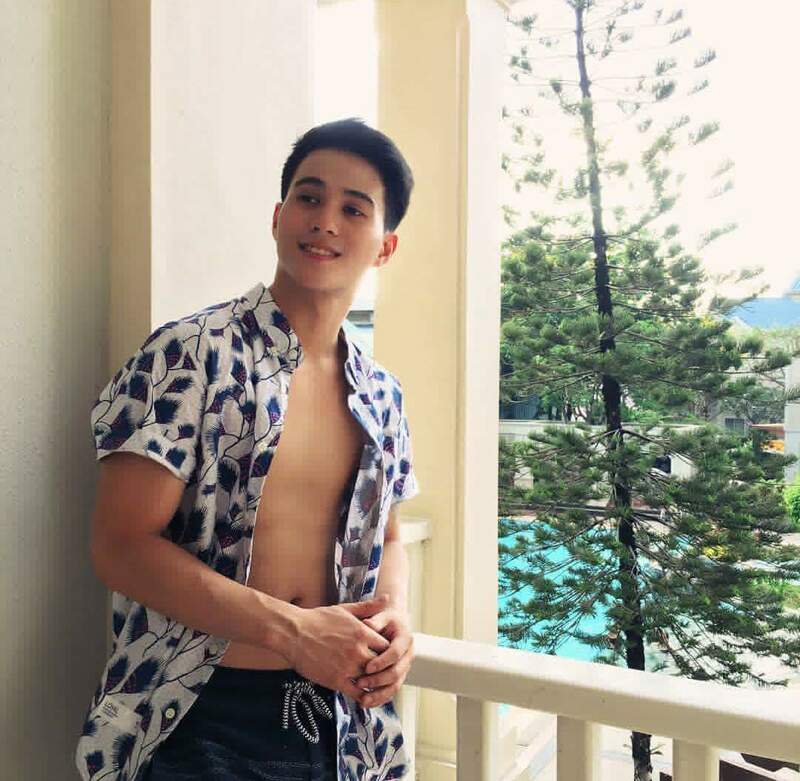 Apart from being a Hashtags member, Franco also did acting and his last was in Ipaglaban Mo "Groufie" episode with Kisses Delavin, Marco Gallo and Ella Cruz just barely a month ago. He also appeared in at least two TVCs, for Benadryl and Clear.